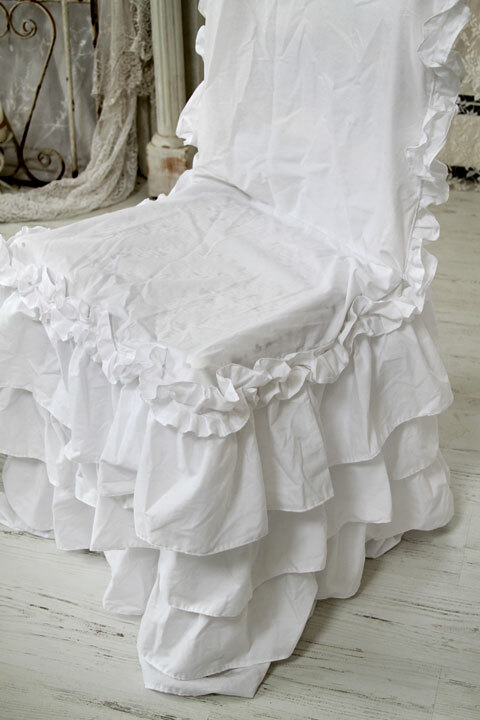 This is a hand-made white cotton blend chair slipcover with ruffles galore!!!! 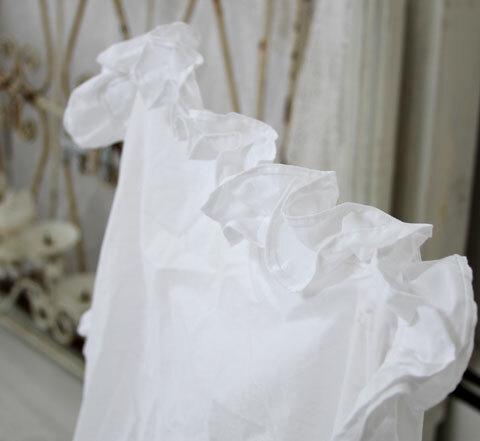 This is made of white cotton and will fit a standard size parsons chair, or a standard size chair with a square back. 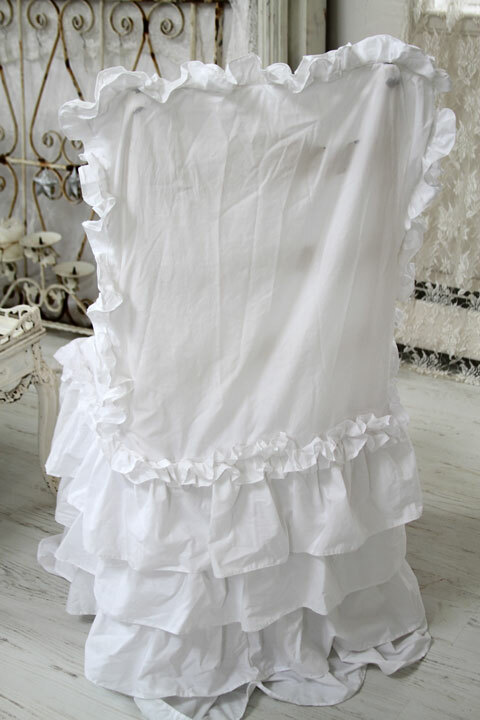 This is floppy, drapey, and very shabby chicish. This is excellent workmanship, you won't be dissappointed! Standard chair size with square back. 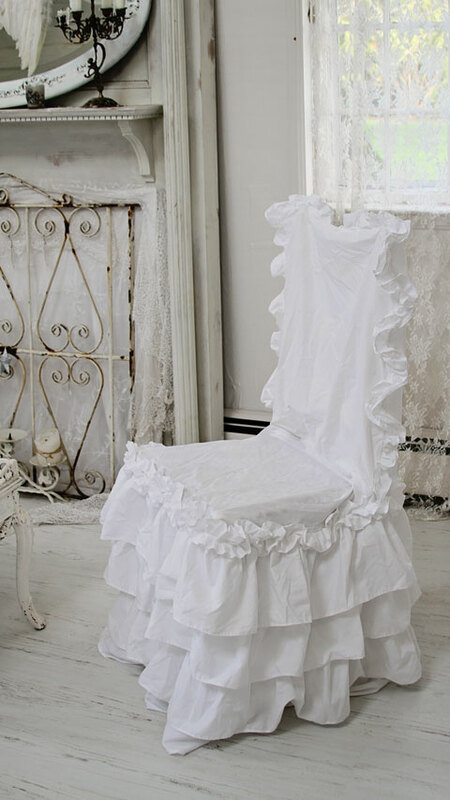 The chair I have this on is very shabby underneath so if you see something dark colored on the seat, it's just the chair, not the slipcover. Measures 18 inches wide x 26 inches deep x 39.2 inches high.